Alex joined Adviser Investments in 2013 and has been a member of the investment community since 2006. He works with clients and matches their investment requirements with the appropriate investment strategies. Alex accomplishes this by understanding individual clients’ present financial status and future financial goals. 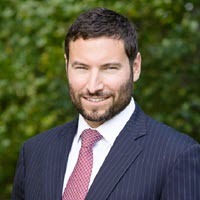 Prior to Adviser Investments, Alex worked at Columbia Management in both Boston and Los Angeles, most recently as a regional vice president, where he educated financial advisers on a variety of investment strategies. He started his career as a financial adviser at Ameriprise Financial, producing comprehensive financial planning, investing and insurance solutions for individual investors. Alex earned a B.S. in business administration from Ithaca College. He makes regular television appearances on NECN in Boston and resides with his wife and son in Arlington, MA.